Plink is truly an amazing item. Plink breaks up fat and food particles, helps prevent clogging and freshens your whole kitchen. This lemon scented garbage disposal cleaner and deodorizor contains lemon scented liquid safely encased by a patented hardening process. 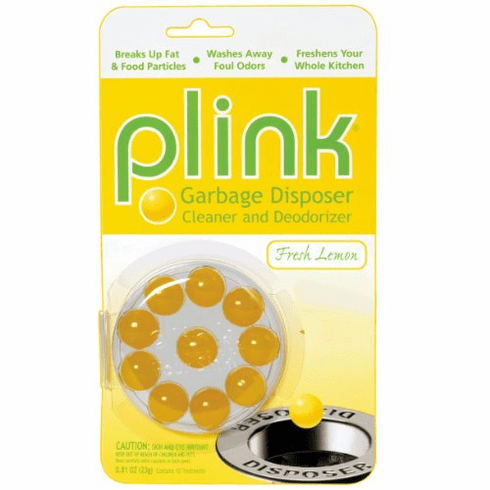 Plinks break open to deodorize the disposal and disolve fatty deposits which cultivate unpleasant odors. It freshens your whole kitchen too!